Israel’s long known open secret is its formidable nuclear arsenal. Less is known about its chemical and biological weapons (CBW) capability. More on that below. Experts called his information genuine. They revealed sophisticated technology able to amass a formidable nuclear arsenal. Today it’s more potent than ever. In his 1991 book titled “The Samson Option: Israel’s Nuclear Arsenal and America Foreign Policy,” Seymour Hersh discussed its strategy to launch massive nuclear counterattacks in response to serious enough threats. Israel always stuck to its nuclear ambiguity position. Olmert later backtracked. Damage control didn’t assuage criticism. Opposition party members called him irresponsible. Olmert’s approval rating plunged. Aides tried frantically to limit damage. His spokesman, Miri Eisin, said his comments didn’t mean Israel had or wants nuclear weapons. Changes are taking place, he added. He hoped his situation would improve. It didn’t. He still chafes under repressive Israeli policies. Practically under house arrest, he’s harassed. His fundamental rights are denied. He wants his citizenship revoked and permission to leave, but Israel won’t grant either right. He’s a legend in his own time. He only wants to live free. After what Israel put him through for decades, he deserves that much and more. Israel never signed the Nuclear Nonproliferation Treaty (NPT). In 1969, Nixon and Prime Minister Golda Meir mutually agreed that Israel’s nuclear capability wouldn’t harm relations. In 1998, so did Clinton and Netanyahu. In 2009, Obama continued past policy. Expect change eventually. Israel’s belligerency over Iran’s peaceful nuclear program may “boomerang” on its military one. The substance had “undetectable properties.” Haddad’s health deteriorated. Flown to East Germany for treatment, he was diagnosed with leukemia and died on March 29, 1978. Thirty-two years later, the truth came out. IIBR’s poison killed him. Israeli soldiers were used to test vaccines. Some experienced “permanent physical damage.” Lawsuits for damages were filed. Victims want recognition as disabled veterans and appropriate compensation. Pressure got IDF officials to announce experiments on Israeli personnel would end. Avraham Marcus Klingberg was also recruited. 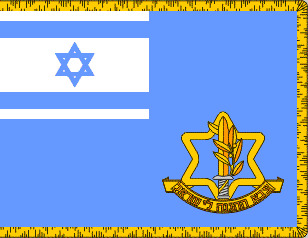 He became the father of Israel’s nuclear weapons program in charge of the Israeli Atomic Energy Commission (IAEC). Ben-Gurion was determined to have a nuclear option and other non-conventional weapons to counter numerical Arab advantage. He and Shimon Peres became leading forces behind Israel’s nuclear, biological, and chemicals development program. Strict secrecy was maintained. Staff were forbidden to discuss anything related to their work. Prohibitions remain strict. Nonetheless, some who know tell others. Suppressing vital truths everyone needs to know remains hard to do forever. Much is known about Israel’s nuclear program. Perhaps CBW disclosures will expose secrets too important to hide.